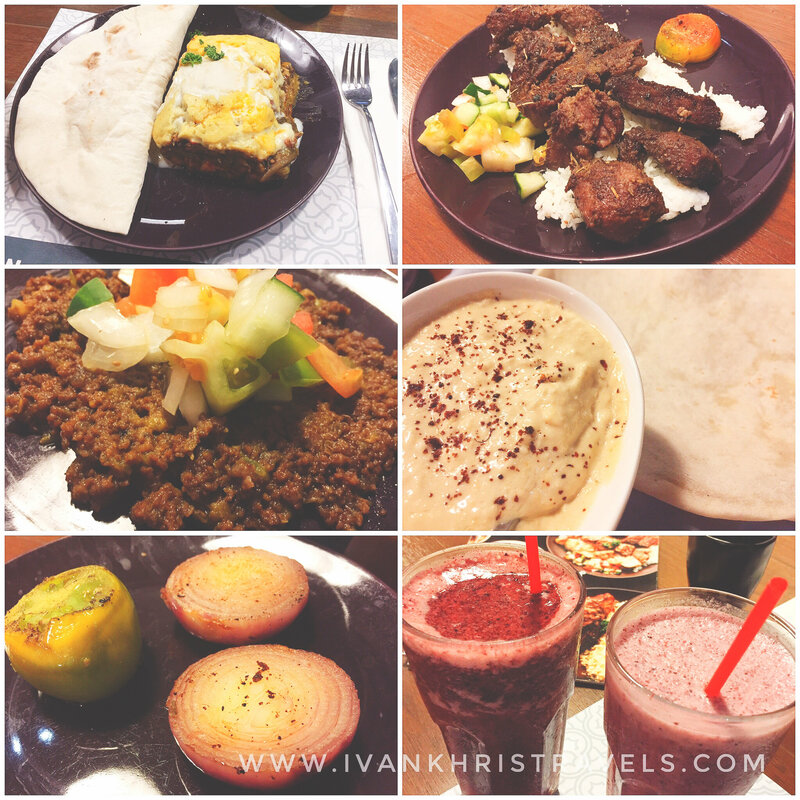 Sultan Mediterranean Grill is possibly one of our best foodie discoveries in the Salcedo district of Makati. It was purely a random discovery but, as we most often know, those are almost always the most exciting ones. We got tired of the restaurants and fast-food chains around the Ayala and Valero areas so we decided to look around a “dark street” for a decent meal. There, we spotted Sultan Mediterranean Grill, an unassuming restaurant, neither big nor splendid. Sultan Mediterranean Grill was actually very plain and could easily be ignored. It was a good thing, a stroke of luck even, that we decided to give it a try since we missed eating in our favorite kebab restaurant in Quezon City. Honestly, Sultan Mediterranean Grill did not quite make a good first impression. 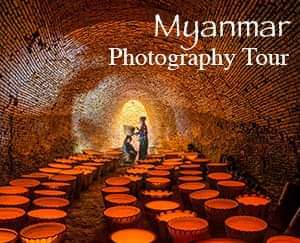 The entrance was cramped and the air-conditioning was busted when we first stepped in. But the aroma issuing out of the kitchen and the food being served were heavenly. Menus handed and choices settled on, we ordered Sultan’s Signature Hummus Dip, Greek Salad, Special Kebab Platter, Beef Keema, and Fruit Yogurt Shakes. 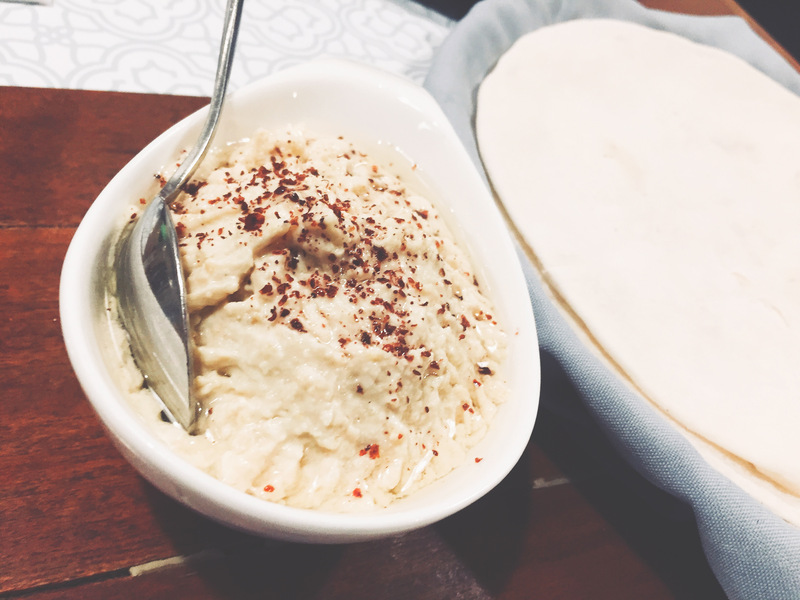 Sultan’s Signature Hummus Dip is a great starter. This is Sultan’s house-made hummus dip, made from blended chickpeas, olive oil, tahini, lemon, and garlic. The pita bread is light and chewy and went well with the thick and smooth hummus dip. We were somehow expecting the hummus to be bland but it turned out flavorful, with hints of garlic and olive oil. This was addicting to eat. The Greek Salad, meanwhile, is traditional salad greens, tomatoes, cucumber, black olives, and feta cheese. This is a very light and healthy plate, also perfect as a starter. 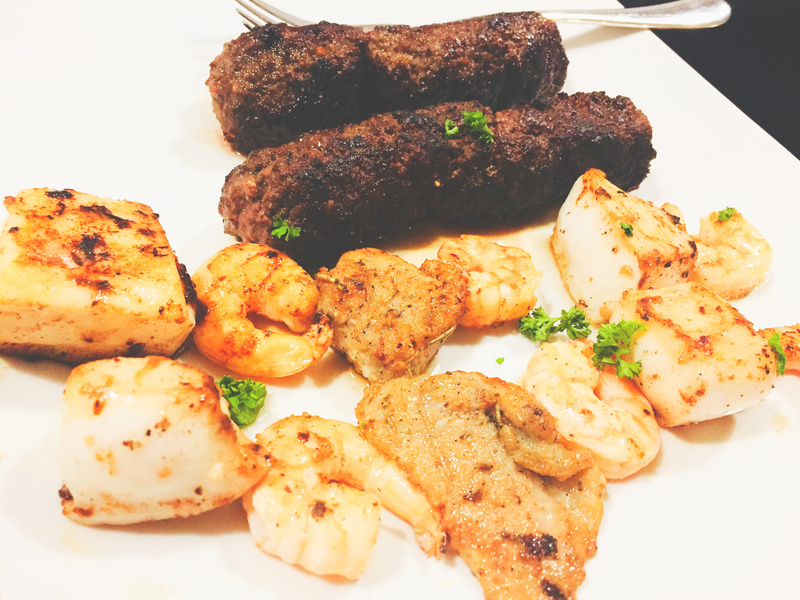 For those who are undecided on which dish to get, Sultan Mediterranean Grill’s Special Kebab Platter is a good pick. This is a combination platter of one koobideh and one kebab of your choice, served with rice and salad. This is perfect for diners who would want to enjoy some of the restaurant’s bestsellers without having to order too much. The koobideh will always be my favorite because it was cooked juicy and tender. 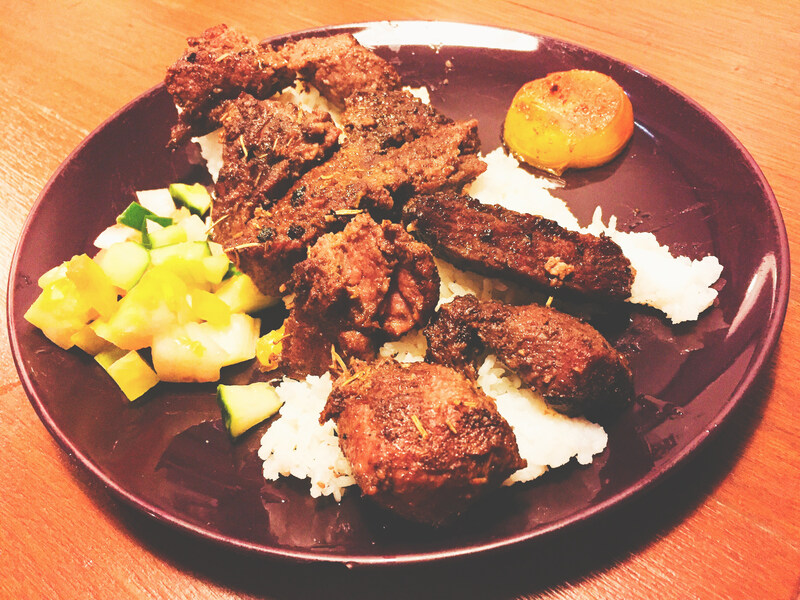 The meat is packed with flavors and goes well with buttered rice, garlic sauce, and a little hot sauce. The taste is superb and very comforting. The Beef Keema was also good but is not as outstanding as the koobideh and the kebab. On separate occasions, we have also tried the Beef Shawarma, Sultan’s Moussaka, and Sultan’s Baked Ziti. Sultan’s Moussaka is a dish that we tried for the first time. This is a traditional Greek dish made of layers of beef, cheese, and eggplant which is then baked. Think of it as lasagna but instead of pasta, it uses eggplant slices. This savory dish is heavy and can be a meal on its own. Surprisingly, Sultan Mediterranean Grill also makes good Baked Ziti. The perfect way to cap a meal of savory meats perhaps is a tall glass of Sultan Mediterranean Grill’s fruit shake. This is yogurt blended in with your choice of fresh mango, banana, strawberry, or mixed berry. The slightly acerbic flavor of the yogurt and sweetness of the fruits are perfect palate cleansers. In terms of price, Sultan Mediterranean Grill’s menu features items that range from Php125 to Php595. They also serve alcoholic beverages. For other food reviews, please click here.